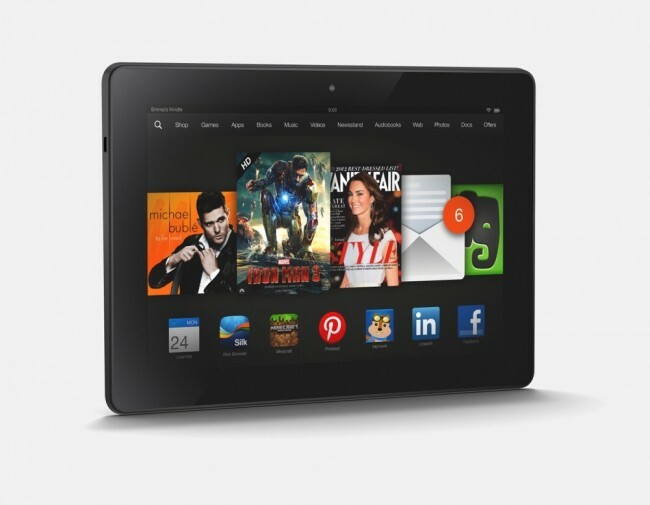 Amazon announced a free software update for owners of Kindle Fire HD and Kindle Fire HDX tablets this morning, full of new features and optimizations. A few changes in OS 3.1 users will experience is a newly baked-in integration with Goodreads, an online book reading/reviewing community where bookworms can share recommendations with each other. Amazon also added a video “Fling” feature that allows users to fling movies and TV shows from their tablets, right to a Samsung Smart TV or PlayStation 3 console. For all of the Kindle Fire owners here, check out the full feature changelog. Find and share books with Goodreads – Goodreads on Kindle lets you connect with the Goodreads community to follow friends and see what they are reading, and share and rate books on your Kindle Fire. Organize your content with Cloud Collection – Organize your content library into collections like “Favorite Books” and “Sports Apps” that are synchronized with compatible Kindle devices and reading apps. Watch movies and TV shows on another device with Second Screen – Fling movies and TV shows from your Kindle Fire to your 2013 Samsung Smart TV or PlayStation 3 using Second Screen. Learn more about books with Smart Lookup – With the Smart Lookup feature, you can quickly look up words in the dictionary or Wikipedia or translate text in a book. Print from Your Kindle Fire – Print Word, Excel, and PowerPoint documents, photos, e-mails, calendar events, and contact information from your Kindle Fire to a printer that supports mobile printing. Free up storage space with 1-Tap Archive – With 1-Tap Archive, your Kindle Fire groups all content that has not been used recently so you can move it to the Cloud with just one tap. Enhanced enterprise features – Manage security certificates and connect to your company’s Wi-Fi network—whether you’re at home or at work—with remote VPN capabilities. Set alarms and view additional time zones with the Clock app – Use the all-new Clock app to check the date and time, set an alarm clock, and more.